Rural guesthouse in Briones town centre. 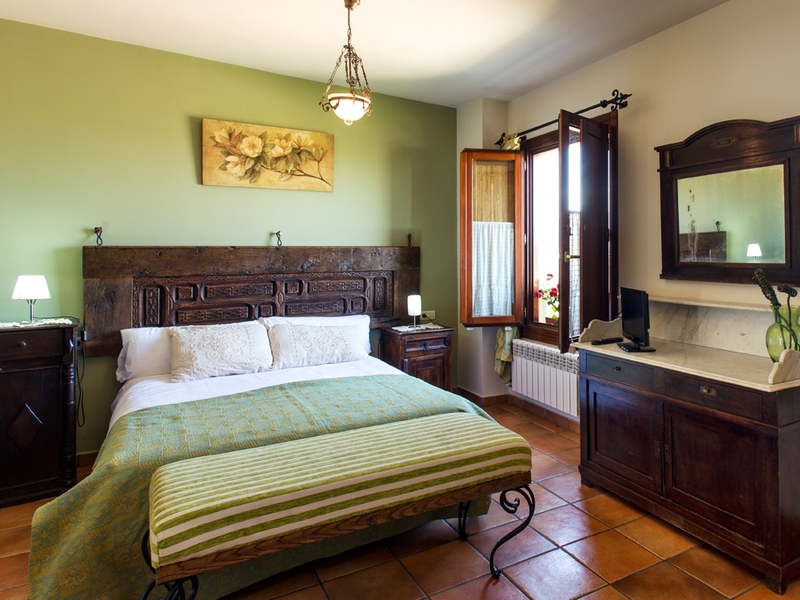 We offer a rural guesthouse with an unbeatable location in Briones town centre, a few metres from Plaza de España, the heart of the town. 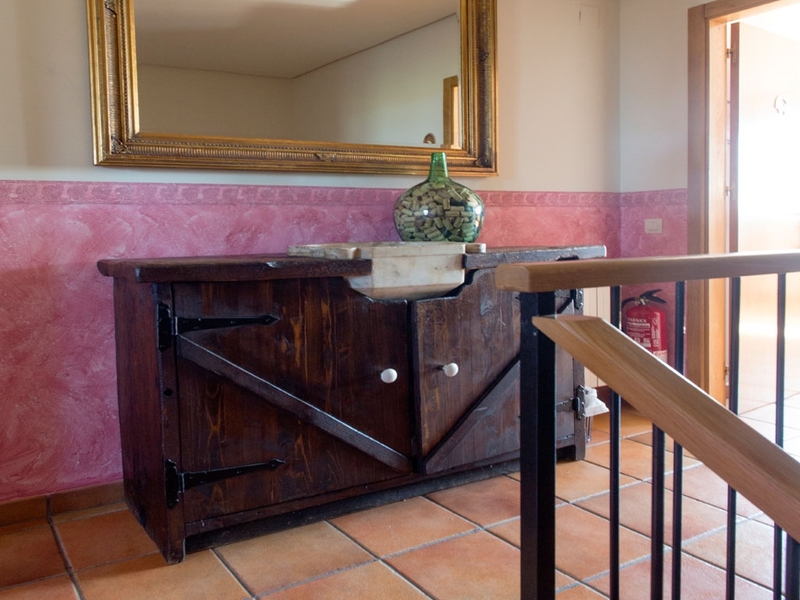 Located in an old village house with three floors, fully restored and traditionally decorated, the guesthouse offers all the comforts for the traveller to feel at home. Breakfast, lunch and dinner are served in Los Calaos restaurant lounges, located in the old wine cellars of the mansion. The guesthouse offers 4 spacious exterior rooms fully equipped with heating, flat-screen TV, wardrobe and a private bathroom with bath or shower. 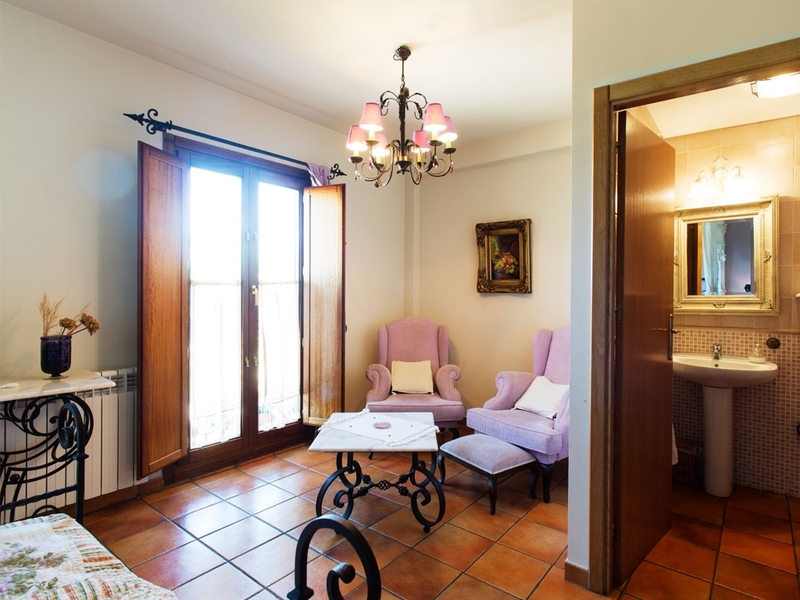 All rooms offer a comfortable seating area and the option of extra beds. 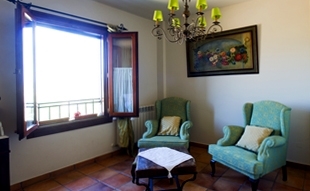 West-facing rooms give excellent views of the Ebro valley allowing us to look out onto vast vineyards and the town of San Vicente de la Sonsierra and Sierra Cantabria below. Even as a town with rich cultural activities and important tourism, Briones provides the traveller with peace and tranquillity ideal for summer periods and weekend getaways. Its gentle continental climate makes their temperatures moderate. In summer, even on the hottest days of maximum, the north wind cools at sunset allowing very pleasant temperatures.